If you're looking for a fun, versatile sketch for this week, this is the one. Think about a pocket. Think about an envelope. Think about a napkin or the corner of a bed sheet. 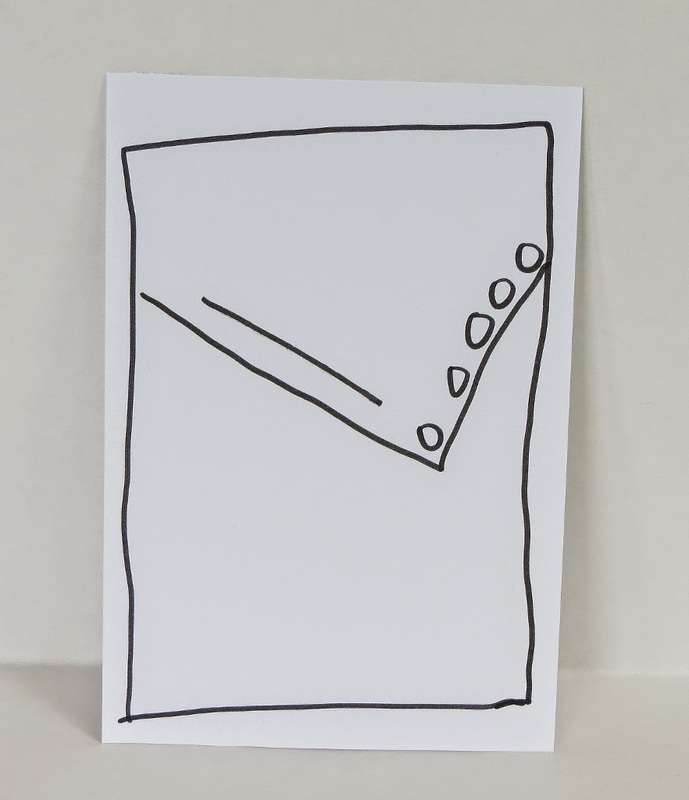 This card sketch could easily be any of those designs. Choose a patterned paper for the background, then offset the corner of a solid color or slightly patterned paper across the top. You don't want two busy patterns together for this one because it just plain won't look right. Then use the left side of the corner piece for a phrase and the right side for some embellishments - or vice versa. The fun part is that it's completely up to you how it's decorated. 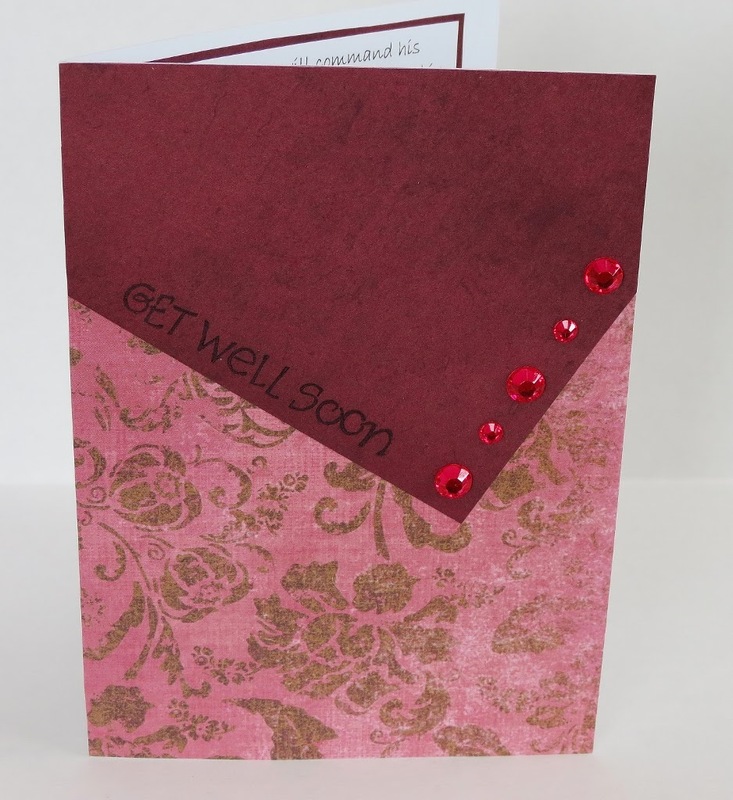 For my card, I used a pretty pink and maroon flower-patterned paper as my background. Then I layered with with the rustic-looking coordinating maroon pattern on top. It was just the right color - not too dark to read the stamped phrase and not so light that the rhinestones wouldn't stand out. So now ... think about the variations you could do. I've already found some pretty denim patterned paper to make a shirt pocket, and a paper that looks like lace could make a pretty table cloth or napkin.